Full name, date of birth: Kadyrov Adil Suratovich, May 25, 1951 year of birth. Work experience: the general experience is 45 years, the scientific and pedagogical experience is 38 years. What university, for what specialty and when he graduated from: Karaganda Polytechnic Institute, “Construction and road machines”, 1973. Academic degree, academic title, academic degree: doctor of technical sciences. 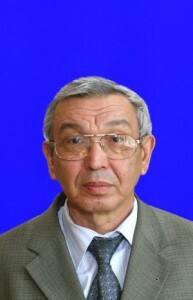 From 1973 he worked as a junior researcher at the laboratory branch of the TSP of the Karaganda Polytechnic Institute, from 1975 transferred as a senior researcher at the same laboratory. In 1980 he defended his thesis, and in 1989 his doctoral thesis at the Moscow Institute of Scientific and Technical Studies. V.V. Kuibyshev (Moscow). Later he received the title of associate professor and professor. In 1985-1993 He worked part-time at KPTI as an associate professor at the departments TSP and SDM. In 2001-2006 He was accepted as an associate professor, and then a part-time professor of the SDM department. From 2006 to the present – Professor of the Department of TTILS.